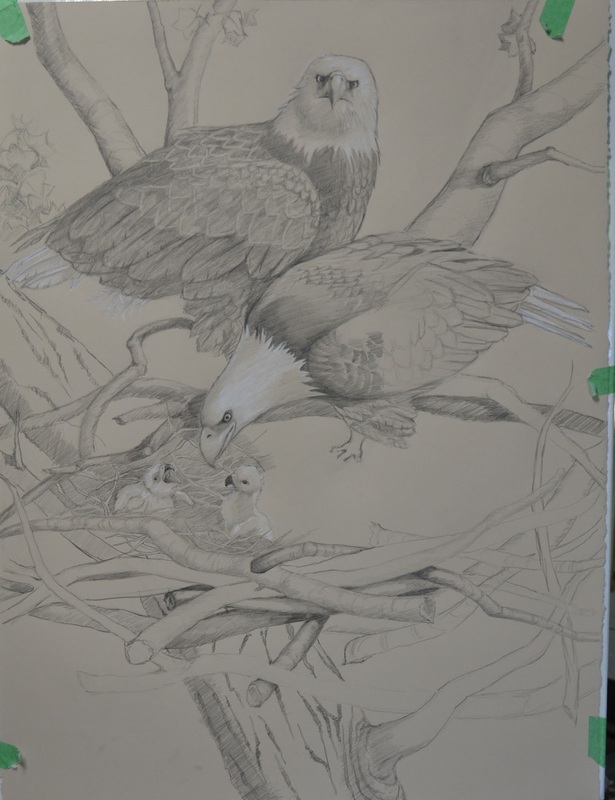 Here is another afternoons worth of progress on my eagles project. 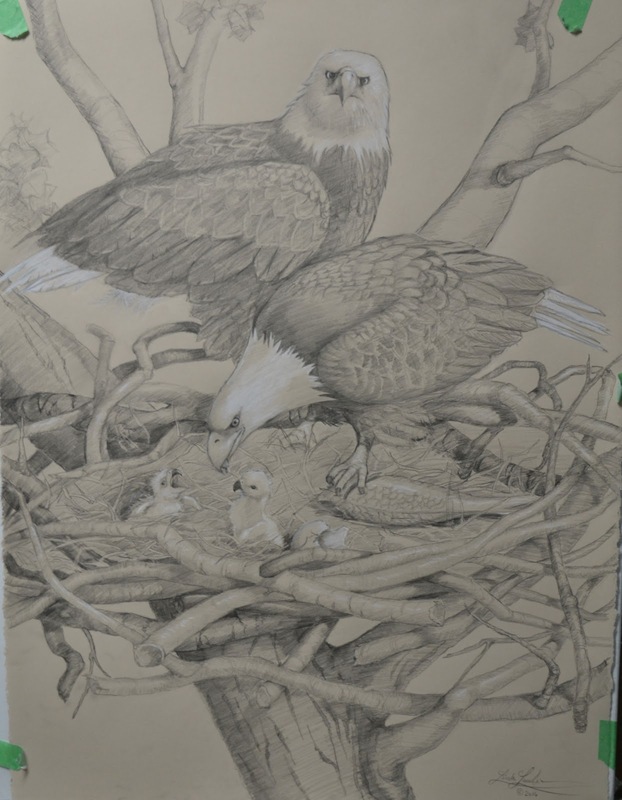 As you can see, I take a lot of time when I do a drawing for a large piece of art. Yes, I am slow and methodical. And yes, I am going to charge a lot of money for the finished art. I recently overheard an artist telling a prospective client that they work very fast, and can do several paintings a day. This artist also told the client that they sell every thing they paint. I was a bit put off by these comments....I wonder if Da Vinci or Michelangelo would have been put off also? I understand that they took years to complete some of their greatest artworks. 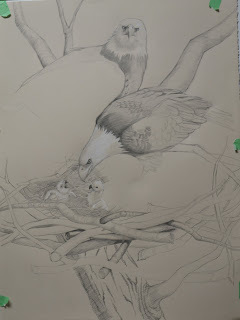 I do know this, for me, artmaking is enjoyable and I don't want the process to be fast, I want to savor it. I want my art to be the very best that it can possibly be, even if I have to start it over several times to get it right. I also, could care less if I sell every piece I paint, and I will not sell my artworks for ridiculously low prices, just to make a sale. This is called Integrity. Today's progress. 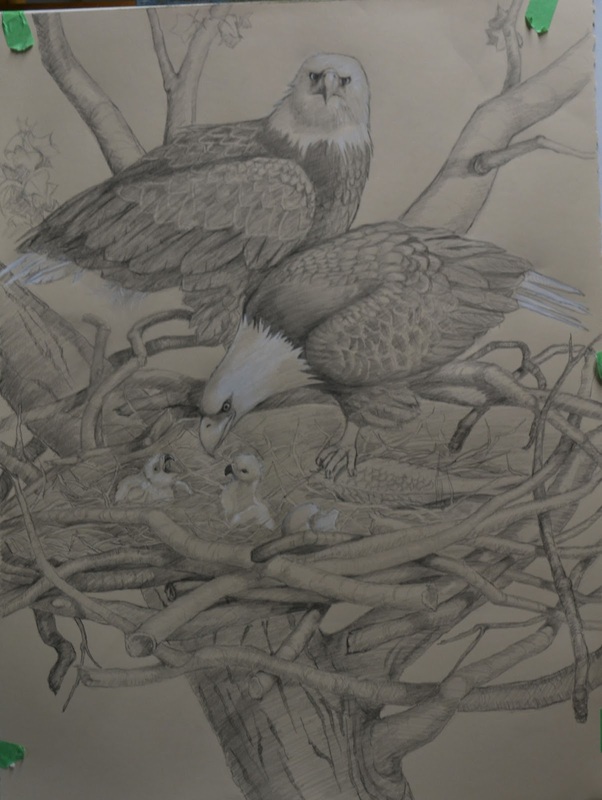 I noticed immediately after posting the previous days work, that the two branches in the upper left were very small and frail looking which made me feel the whole thing was too delicate and not stout enough to hold an eagle's nest. I have increased their thickness and now it reads as a very substantial tree. The entire time I worked on the branches and nest sticks, I am keenly aware of where my lightsource is coming from. I am trying to keep shadows running in the correct direction. 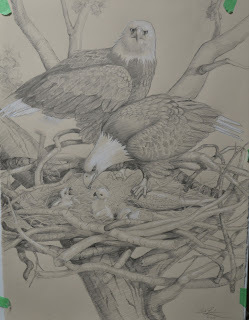 It really helps that I have some very good reference photos of the nest and birds. I can draw without worry, since the lightsource is the same throughout the references. 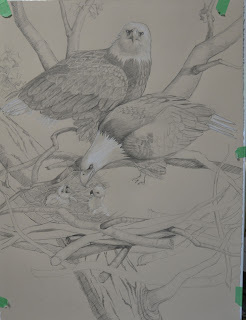 I started this drawing of eagles, 24" x 30", and this is about two days of work. 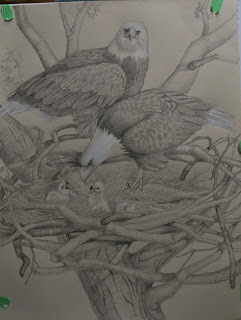 Its on a tan toned paper and I did not realize just how intricate and tedious my idea was. But, I am thoroughly engrossed in this project and loving every second. Willa is now about 5 months old and a month with us. 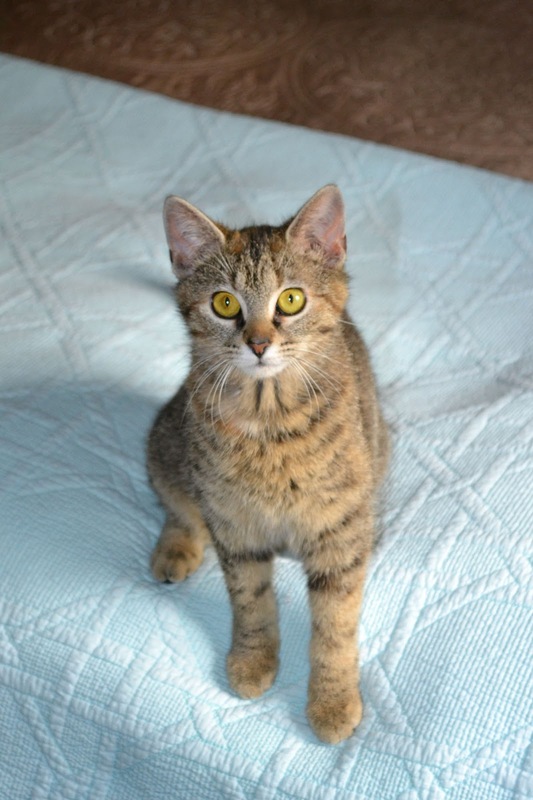 She is total energy, chaos, and fun.